Excited to be a part of the Museum of Contemporary Photography's Fine Print Program. Fortress, 2016 will be released as a limited edition print of 30. The sale of editioned Fine Prints directly supports artistic and educational programs at the MoCP. Prints by more than 60 artists are available online including works by artists of local, national, and international renown. Please consider supporting the museum by purchasing a print. 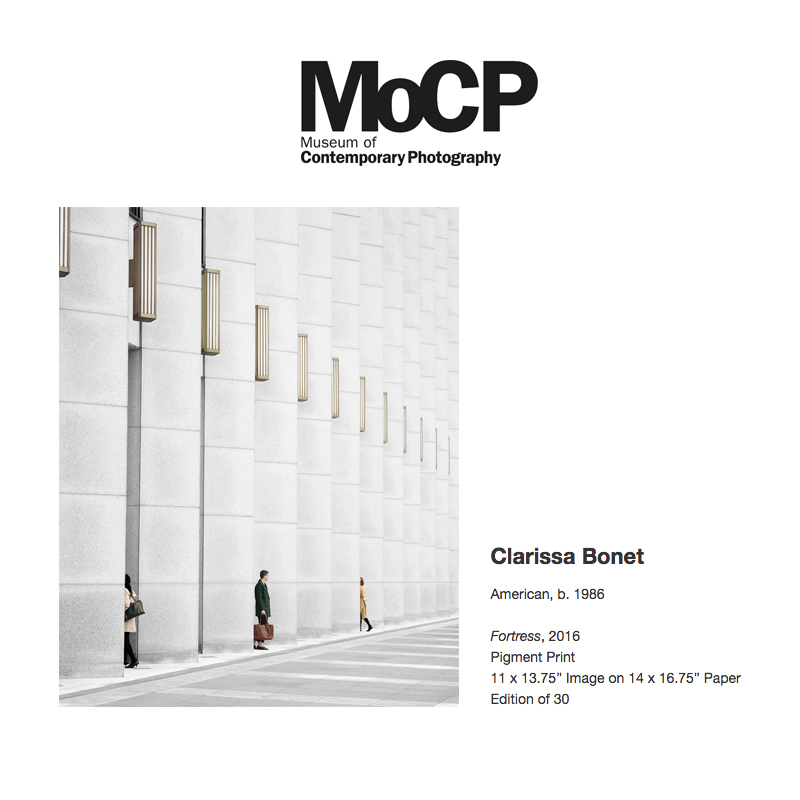 Please visit MoCP's website here to see all of the prints in their Fine Print Program. The 2018 MoCP Fine Print Party is a public unveiling of four new prints that will be added to the MoCP Fine Print Program. Prints will be available for purchase. All proceeds will support MoCP exhibitions, public programs, and community engagement efforts. For tickets and more info click here.